Citizens Memorial Hospital (CMH) announces the appointment of gastroenterologist, Ryan E. Denney, D.O., to the CMH medical staff. Dr. Denney will begin his practice with CMH Gastroenterology Clinic, Bolivar, on Aug. 1, 2018. Dr. Denney is board certified in Internal Medicine by the American Osteopathic Board of Internal Medicine. He is a graduate of Kansas City University of Medicine and Biosciences, Kansas City. Dr. Denney completed a residency in internal medicine at Northside Hospital and Tampa Bay Heart Institute, St. Petersburg, Florida, and is fellowship trained in gastroenterology at Hackensack UMC Palisades, North Bergen, New Jersey. 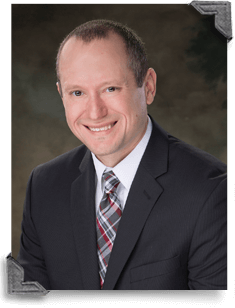 Dr. Denney’s practice includes diseases affecting the gastrointestinal tract, colon cancer screening, acid reflux, inflammatory bowel disease, chronic liver disease, Cdiff, and more. The CMH Gastroenterology Clinic is located in the Kerry and Synda Douglas Medical Center, 1155 W. Parkview St., Suite 1F, Bolivar. Dr. Denney is accepting new patients. To make an appointment with Dr. Denney or for more information about services offered at CMH Gastroenterology Clinic, call 417-326-8700.